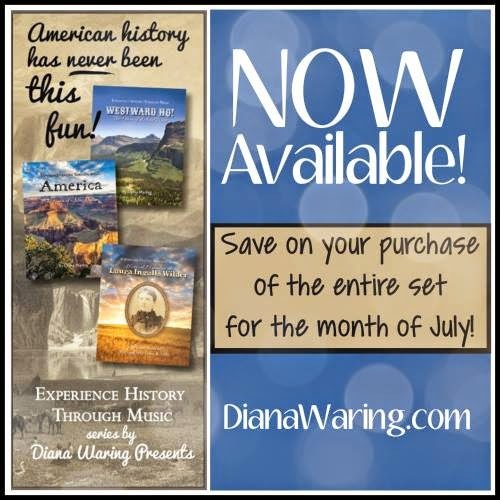 I'm having such a great time being part of the Diana Waring Launch Team for the Experience History Through Music set. 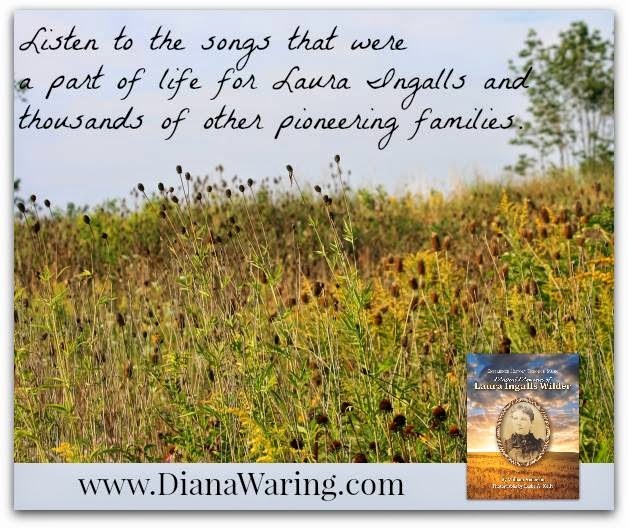 One reason is that I've always adored Laura Ingalls Wilder, and one of the three books in this set is Musical Memories of Laura Ingalls Wilder. My dad read aloud from the Little House books on camping trips, and I totally fell in love with Laura. I ended up reading, and re-reading, and re-re-reading the entire series multiple times as a child. I had a love/hate relationship with the television series, but at least for the first few seasons, I did enjoy it. And one of my favorite family vacations ever was to DeSmet, SD. When I started homeschooling, one thing I heard about early on was the fabulous book and tape about the music in the Little House books. However, it was out of print... and even though I kept my eyes open, I never did find a used copy. According to stories I'm seeing now, the originals were lost for the entire series, and there wasn't an option to republish it on CD (or even on tape!) without recreating the whole thing. After lots of prayer, and a few miracles, the entire series is back. And I got a chance to review it. Fabulous. Simply fabulous. All three books. All three sets are similar. Each contains over a dozen songs, and each song is professionally recorded on the accompanying CD. Each song has a couple page story in the book, including wonderful black and white photos, and in the back is the sheet music including all of the lyrics. You obviously have some options as to how you want to use these. We started by reading the introduction in Westward Ho! The Heart of the Old West, then reading the information on the first song (Apple Picker's Reel) and then listening to that song. I didn't allow the kids to listen to more, because I'm mean like that. The next day, we read about the second song (Boll Weevil) and I allowed them to listen to both of the first two songs. For America, The Heart of a New Nation, however, I let the kids listen to the entire CD, and we are gradually reading through the stories. America: The Heart of a New Nation is chronologically the first in the series. 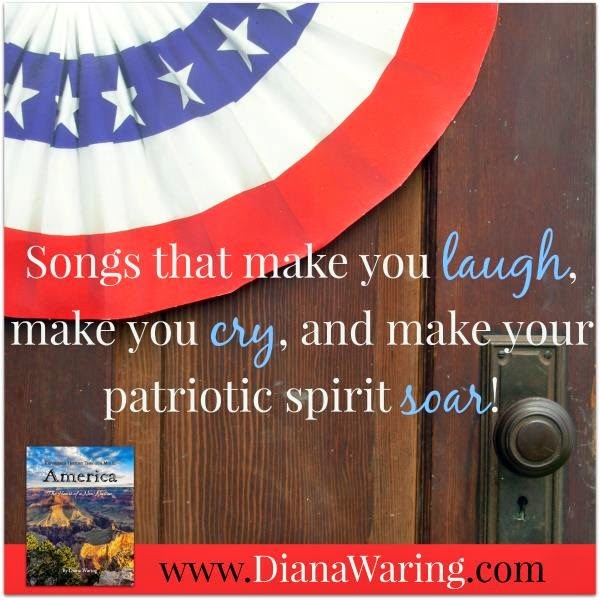 The songs start with Yankee Doodle, with the story in the book taking place in the French and Indian War and the Revolutionary War. The book also includes two pieces of artwork: "Yankee Doodle 1776” by A.M. Willard; and “The First Resistance” by E. Percy Moran. I love the use of art! Later in the book, they also use photographs, such as some of the Chicago Great Western Limited's lounge car and dining car, for the song, "She'll Be Coming 'Round the Mountain." This book goes through roughly the 1880's, covering events like the Erie Canal, the Civil War, and the beginnings of westward expansion. Westward Ho! The Heart of the Old West doesn't exactly pick up where America leaves off. The first story takes place in 1824 with Hudson's Bay Company opening a trading post in Oregon Territory. This book mostly goes up through roughly the 1880s. For images, this book contains primarily photographs, which is also fascinating. 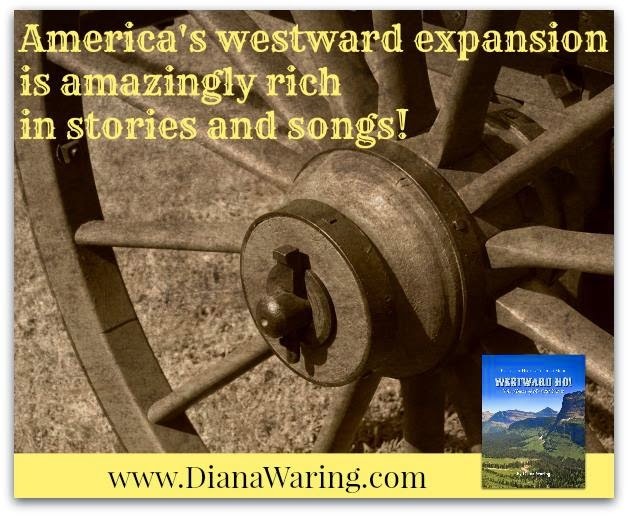 Musical Memories of Laura Ingalls Wilder covers roughly the same time period as Westward Ho!, obviously, since westward expansion is the time period Laura wrote about. This book is similar -- yet not -- to the other two. The music all comes from tunes featured in the Little House books. The stories talk about how the song fit into the book, but also give historical context to either the events or the song itself, often to both. The images included in this book are really special. There are historic photos, photos of places today, and some artwork. One of my favorite photos is of Laura and the "Wilder Chrysler" at the Badlands in 1938. Another favorite photo is taken at the Laura Ingalls Wilder pageant in De Smet. These sets of books and CDs are wonderful, and would add a lot to any study of American history through the 19th century. What I'd like to do with this, now that the review is over, is to plan to do it alongside a history course, going through one or two songs a week. These are good for any age, and right now, you can purchase the set at a special re-introduction price of $50, or individual titles are available for $18.99 per set.